through efficient and effective translation solution. The new age of globalization has brought revolutions in the medical and healthcare field, with many scientific and medical researches happening daily. Amidst such medical revolutions, there is a need to reach out to the global communities in need of these revolutions for disease prevention and control. This has given rise to a need to globalize and expand beyond borders and to be able to do that, translation services are required. Mars Translation’s expert linguists cover translation of a large variety of medical documents translations and services. Whether you need medical translation services of patient case reports or packaging labels for medicines, Mars Translation’s efficient and comprehensive translation services cover them all at an affordable rate and quick turnaround times. The vocabulary and terms of healthcare are a different and complex language in its own nature. That is why expert translations are needed for translation of clinical trials and researches as well as medical documents and files. Mars Translation has the expertise and experience to complete your medical translation needs for getting access to the global healthcare community and patients. With the help of translators having scientific and medical backgrounds, with subject matter expertise in delivering medical documents translations, you don’t have to worry about the translations of complex medical terminologies and files. In addition to delivering a host of other benefits, these expert linguists ensure that all your medical documents are translated efficiently and swiftly at affordable rates. Qualified Translators:Avail the services of expert translators adept at translation and localization of all medical files, documents, websites and software. Quick Turnover:Get your medical documents translated by our experts with an assurance of quick turnover rates and high quality at affordable rates. 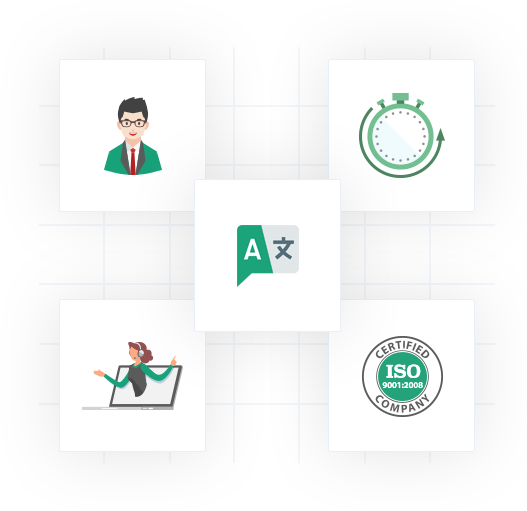 ISO 9001:2008 Certified:Avail certified translation of your documents backed by ISO standards and compliance with GDPR quality standards and certifications. Dedicated Support:Guarantee round-the-clock support for all your translation with the help of our translation experts providing free consultations. Multilingual Services:Enable globalization of your healthcare business through our multilingual translation services in 100 languages and format of your choice. How Can I Get My Medical Documents and Files Translated? The translations of medical terminologies and files are a challenge in themselves. But with Mars Translation’s expert and professional translation services, these medical and healthcare documents can be translated before due date and at an affordable rate. 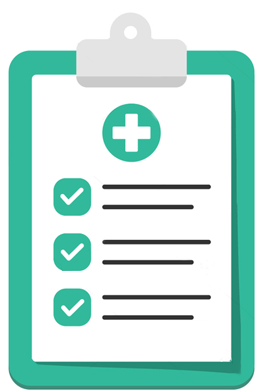 To get your medical documents translation, simply fill the Mars Translation quotation form or consult our localization experts for free in case of any query or issue. Mars Translation, being a translation and localization agency places high importance on the certifications and quality of its translation services. That is why Mars Translation is ISO 9001:2008 certifies as well as GDPR-compliant to stay updated on the quality measures. To ensure that your translated files are certified, a letterhead is placed on the documents that act as a notary guarantee for all relevant and concerned authorities. How Do I Ensure Confidentiality and Security of My Translations? Mars Translation’s expert linguists are not only subject matter experts, they are also aware of the security risks that these documents might be exposed to. That is why, to guarantee complete security and confidentiality of these medical translation services, the linguists have to sign a non-disclosure agreement at the start of their service with Mars so as to protect customer privacy and to abide by the rules of certified translation process for verified healthcare translation services. How Much Does It Cost to Get My Medical Documents Translated? Mars Translation, the expert in translation solutions understand the cost burdens that this translation process impose on its customers. To facilitate its customers across the globe, the translation rates of Mars Translation are one of the most affordable and competitive in translation market with standard rates starting from as low as USD 0.04 per word. In addition to that, there are no additional charges or hidden fees that might be of any inconvenience to the customers. How Long Will It Take to Get My Translated Documents Back? Speed and accuracy are two of the fundamental principles of translation at Mars Translation. That is why our expert linguists try their best to complete the translations on time. With Mars Translation, you can be assured of a seamless medical documents translation service with quick turnarounds without any compromise on quality. You can get your translated documents back within 48 hours of submission in the language and format of your choice.